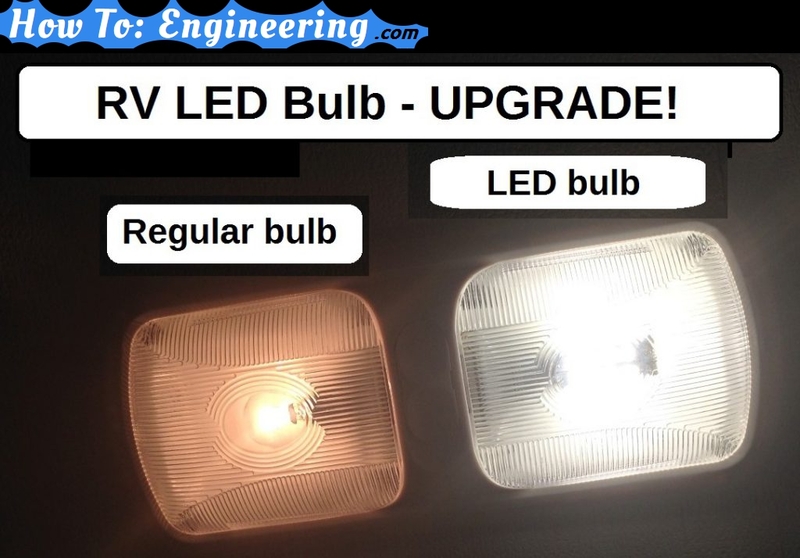 See the difference between the original bulb and the new – 360 degree – 780 lm LED light. We wanted to try out a few LED bulbs from superbrightleds.com and we picked out 3 different brightness levels (for the main living room, the kitchen, and the bed area). 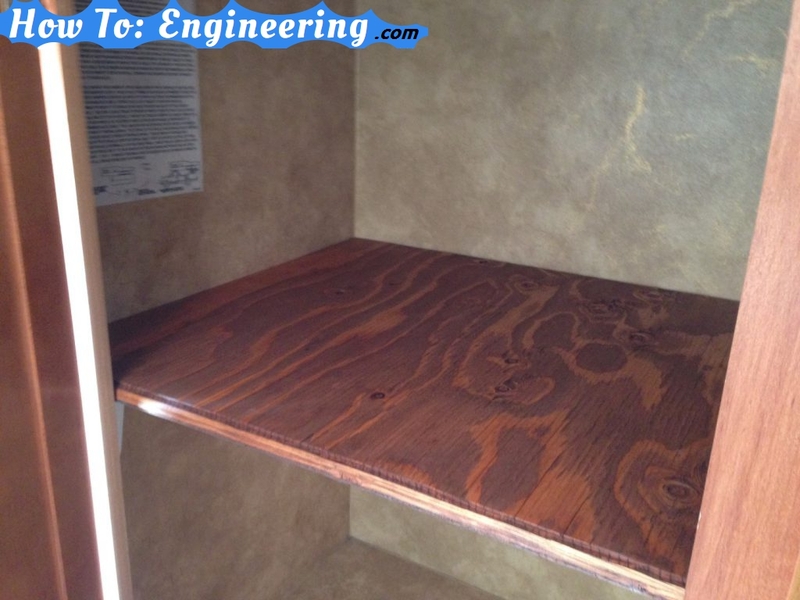 We needed more storage in the RV so I made a shelf in the closet.